Phenomenally potent, Sunday Riley’s ‘Luna’ is a retinol-rich night-time treatment which works to reduce signs of ageing as you slumber. With an advanced retinol complex, Luna Sleeping Night Oil helps to lessen visibility of lines and wrinkles, while correcting signs of damage caused by sun, time and everyday exposure to pollutants. Just warm a few drops of the brilliant blue elixir between your fingertips, then press and massage into clean, dry skin before bed – the replenishing oil intensively hydrates and stimulates sluggish cells to encourage repair and renewal processes. Collagen synthesis is increased and elasticity enhanced, while cold-pressed extracts of avocado, chia and concord grape seed combine to promote skin’s strength, resilience and radiance. I’ve used this a few times and seen improved softness and skin tone, although no reduction in fine lines. The thing that really puts me off buying this again is the smell. It’s very strong and unpleasant. This oil is fantastic, sinks in well and has really made my skin look & feel so much better, since being on medication my skin tends to be very sensitive and dry/flaky and generally uncomfortable, after one week of using this it really has improved even hubby has noticed!! Would recommend this to anybody smells fab too! Will definitely be re purchasing. I bought this product as it was offer and solely for the retinol properties. This is a very expensive product so my expectation was very high. Firstly the smell, it is overpowering and really unpleasant I really struggled with it. I tend to prefer zero fragrance products or very mild scents but this is intense.The smell does fade off quickly which is good as if it lingered I would not be able to use this product at all. I like the fact the oil is blue and when it is correctly massaged in it turns clear I found that you need a decent amount to cover the face so you could get through a bottle quickly. In the morning my skin has appeared softer and more supple but I do not think this will deliver on the anti ageing benefits to the level it states. Overall a semi decent product for skin dryness and softness but there are plenty of good night creams for far less that offer the same benefits and that was not the purpose for me purchasing this product. This is not a anti ageing game changer and being honest I found The Ordinary Granactive Retinoid 5% in Squalane far more effective at only £11.90 for a 30 ml bottle. Finally, a product with results! I read plenty of the reviews on this oil before buying it. If I’m honest the brand was on offer on here so that made me look into it firstly and I only ordered the 15 ml to start with. It is blue, and if it’s leaving a stain on your pillow ladies then I’d say you’re not massaging it into your skin enough. The smell is slightly odd to begin with but you do get used to it, I actually like it now. As usual a little goes a long way and you do have to massage it in, but I have to say my dry cheeks have benefitted from it, in the morning there’s no dryness to be seen. My skin does genuinely feel plumper in the morning, softer and less ‘crepe paper like. I’m 43 and have always had blemish or acne issues, and now have rosacea on my cheeks, this oil has helped with all those issues. I’m glad I decided to buy it, for me I feel it’s working well. I love this product. I’m generally dry and prone to breakouts and have really found this keeps both at bay. I wouldn’t recommend for acne prone skin as this isn’t designed for that skin type, I'd try UFO for that instead. I notice a difference in my skin if I’ve run out and don’t use this, and always pair it with a night time moisturiser for extra hydration. The colour doesn’t transfer and disappears once massaged into the skin. The scent is noticeable at first but then after a while you stop noticing it. It’s neither pleasant or unpleasant. I love the product but I don’t think it’s worthy of the price, it could do with being a bit cheaper. It does last me a long time so it pays itself off, but the price point is definitely a deterrent. I have a combination skin. I've used different retinol products but with this one, I see the difference in my skin straight away. It's a great product! I've deliberated buying Luna for months as the reviews are quite mixed. After trying a few other retinoids I gave in and bought Luna. I love it! It smells absolutely vile and the blue colour is a bit of a pain, but it's really brightened and revitalised my skin in quite a short space of time. My skin is smooth, fine lines look better and winter redness has really reduced. Also seems to work fine with my quite sensitive skin. I'd be tempted to try some of the other SR products after this. All my friends comment on my glowing skin and that has definitely been the result of a continuous application of Luna oil. I was OK with the texture and smell. Strongly recommend. Have tried it for one week or two, help smoothing small wrinkles, can apply on eyes too, have improved my overall skin structure. I’ve found that my skin has become increasingly more sensitive to the acid preparations so I’ve been looking for an alternative. I tried a sample of this initially and was extremely impressed. It smells divine and it quickly absorbed into my skin. I use this at night and I have found my skin is much softer and smoother. I have now bought the full size and I am very happy with it. Definitely not necessary to buy the large size, I think this is more than enough. I notice a difference I the morning, but it doesn't last 24 -hours. Nice packaging, strange smell, not sure I would repurchase but I would like to try SR'S other products. I received this in the goody bag and I have been using it every other night as a replacement for my usual moisturiser (on the other days I use Liquid Gold). I've been wanting to try this product for years but it was too expensive for me. I like the results this gives and it does moisturise adequately but my skin is very dry so I would mix this in with my normal heavy night moisturiser once a week to compensate. I like it, I really do but I don't think it's a necessary product if you already have a good skincare routine using more effective products. I would probably purchase the full size if I felt like treating myself to something luxurious, but for me this isn't a 'must have' product and if I stopped using it I don't think I would notice a huge difference. Also, I struggle with problematic skin and acne but this didn't break me out at all which is a bonus. It’s a gorgeous oil, made my skin feel and look smoother after one use, I use it daily and on the few times I don’t use it, i immediately see a difference in my skin texture and tone. It’s very brightening and well worth the price for me as a little goes a long way. Maybe I was hoping for a miracle in a bottle, but the blue concoction has done nothing for my skin yet despite daily use at night for a month. I’m 41 with good skin and I thought it would do something, but so far nothing. Disappointed actually. I totally bought into the hype for this oil. I think it's a nice oil but I've seen no *dramatic* improvement over the past two months. Also don't like the fact that there are essential oils and artificial colouring in it. Waiting to finish this bottle and will look for a new retinol product. I am still undecided about this product. I have been using it every other night for a couple of weeks now. I am using it for the retinol benefits so I am happy to keep using it for now. I have oily, combination skin and I've rarely used oils like this one before. It can cause some breakouts, but all in all - it's pretty awesome. Skin really feels smoother, my face looks fresh and pores are a bit less visible. I expected BIG things from this product after reading literally ‘glowing’ reviews but unfortunately it has not worked on my combination mainly clear skin. I have been using the product for 7 weeks and it has caused me to have serious break outs and flakiness. It is also bright blue so watch out for your sheets! I really love this product. But...the smell is really bad and it gives me a headache. I saw the results after the first use. I bought this as part of the Glow package. I also have the Alpha H Liquid Gold and products from The Ordinary and I have to say that I do see the results from this oil and not the others. I cannot say anything about the smell since my nose is not the best. I have to add that my skin is mainly dry, with very few spots, some discolouration and freckles. After using the oil, I wake up with a plump skin, my pores are visibly reduced, any spot scars are healing faster, skin looks clearer and brighter. I am giving it 4 stars just because I wish it would be cheaper. I am hoping for some Christmas discounts. I have extremely sensitive skin and was afraid to something new out of the comfort zone. Started using Luna, so far my skin loves it. Need more time to see the results though. It hydrates well and calms down the tired skin. I wanted to love this Sleeping Oil, but I truly hated it. I have been using retinol products for years now and none have irritated my acne prone skin like this. Maybe it was all the unnecessary dye? We get it, it’s ‘blue’ tansy - but just tint the glass and not my face?? Personally would not repurchase as I have used far more effective and less aggravating retinols in the past. I have combination skin, with a tendency for hormonal breakouts, nothing major. However, spots always leave a lasting red mark sometimes for months, until I discovered Luna Oil. It was a slow burner initially as I didn't like the smell but by week 3 it just starting working. I use it every other night as directed and it has done wonders for my skin. I'm not swayed easily by skincare fads but this really worked for me. I've had 2 breakouts in 4 months and disappeared quickly. I will always but it. Probably my favourite product I’ve bought in a long time. Makes my skin feel hydrated. Gives me a great complexion. Seems to even out fine lines and discolouration. I have freckles that I don’t like. But since using this I wake up every day and love how my skin looks. Worth every penny. I stupidly allowed myself to run out of this before repurchasing and I 100,000% regret it! However, this is when I realized how good the product actually is, it's truly amazing. Within 3 uses my pores were smaller, skin smoother, brighter and best of all it DESTROYS spots before they even have a chance to make an appearance and ruin your day. Without this I've got dry patches, unbalanced and all around just awful skin. I'm buying more right now!!!! Regardless of what state my skin is in at the moment, I can always use this and it makes it better, glowier and just more healthy looking and feeling. Incredibly hydrating, especially in combination with Good Genes. Will it give you instant perfect skin? Probably not (at least it did not for me) however my skin just feels and looks so much better. I especially use it if I have to look great the next day, the skin is just so plump and evened out. After just two nights of using I saw a difference in my skin, glowing and healthy. Usually, in the office, I would have to touch up my makeup but this time I only need to put powder on! Just that after a while I start noticing small bumps on my cheeks near the jaw area. I bought this after reading glowing reviews. I personally haven't found it very effective and I don't like the smell or the colour. I prefer Skinceuticals and Zelens' offerings to this. Will not repurchase. I'm 44 and have pretty good skin. Minimal lines & wrinkles, normal to slightly dry. So, I'm now at that age where you peer in the mirror studying your visage for signs of age winning the war! I have to say I'm delighted with Luna. Not so much the smell tbh, it's not exactly pleasant, but hey - who cares!! I use 3 drops, massage in, leave for 10 minutes then add 1 pump of good genes. My skin is actually glowing. It's plump, hydrated and pretty pleased with itself. My new favourite combination. I got this one with the Lydia box a while ago. I didn’t have big hopes as the reviews have been mixed. But I really like it! I have used other retinol for almost a year (it does take up to 6 months before results) so I didn’t expect my skin to react to this one. I did feel a bit red after the first night but the next day I was fine. I normally can’t use oils as they make me break out but this fits me perfect. I wake up with a super smooth skin every day and I’m very happy! Only negative thing is the price, the bottle is very small and expensive compared to other retinol (especially the prescription ones). But I might buy it again because I love it so much! Perfect for summer if you want to continue with retinol but want something less strong. I use this a few times a week, at the end of my routine. I use a few drops alone once a week and a couple of nights one drop mixed into my moisturiser. Not sure if this is how you should use it but it certainly suits me that way. The difference in the morning is really obvious. My skin is always really soft and smooth but has a plump glow to it that I've never experienced with any other products. It seems to last forever which is the biggest bonus bearing in mind its price. Lastly, I would say that definitely smells quite strongly, but as you use it in the evenings anyway this shouldn't make a difference. I saw a visible difference within the first week. My face was going through a weird "phase" at the end of last year, it was cracked and peeling. Once it stopped I needed something to get it back to feeling good again, I am so happy I bought this, it looked and felt happy again. The biggest improvement was under my eyes, so much lighter and brighter. I haven't been consistent with it the past 2/3 weeks but getting back to using it every day and loving it. This has already been a savior to my skin. I am only in my twenties so don't suffer from heavy wrinkles but it did help me a ton with discoloration and the texture of my skin. I'm very prone to hormonal breakouts and since I use this regularly I don't get that anymore. Love it! Cannot say enough about this, it literally is a miracle in a bottle. Immediate results, and after a week people are asking if I have had a cosmetic procedure done. I use it at night and Zelens Hydro Shiso during the day. Nonirritating, utterly indulgent and worth every single penny. Please do not run out of this product. I don't know what I would do without it. Now its essential for me. It got my skin brighter, younger, stronger and shining. Luna Oil was one of my first luxury skin care products and as it has done wonders to my skin, I will continue to use it. I have sensitive and really dry skin. I use Luna every evening and it leaves my skin soft and healthy looking. I love the smell of the oil and enjoy its beautifying benefits to my skin. I highly recommend this product. I've purchased it as part of the "Back to school" set. I'm so glad I did not purchase the full size! This product does not bring me any visible results. Also, it is rather unpleasant to use: it does not absorb well, the smell gives me literally headaches every time I use it and I seriously do not buy the brand's explanation for adding blue dye to it. Honestly, I have had so much better experience using Ordinary's Advanced Retinoid 2% - next morning my skin was visibly smoother, more even toned and looked well rested. And it did not contain any dyes, nor smelled overwhelmingly. Not to mention the price... Overall, I would not recommend this product nor will I purchase the full size. This is pure luxury for me, absolutely love the smell of this product. I've never used oils before because I have acne prone skin but this oil hasn't caused me to break out, leaves skin immediately feeling silky smooth. Don't need to apply a lot so hoping this product will last a while, will definitely re-buy when I run out. This oil changed my skincare game. It makes my skin plumped smoooth and even. It minimises pores in a way no other product does. I'm 24 and my skin finally looks the way it should. I have oily skin too, so using Luna and UFO, has balanced my skin out perfectly. I love this oil from the fragrance to how it feels on my skin. My skin is looking clearer and more glowing! i received a sample in one of the goody bags and i apply it every other night. i actually dont mind the smell! I'm hesitant about this product. I've been using it every night for several weeks. I do not see any special improvement in my complexion. Skin feels soft and nourished after using this. Fabulous product. I tried the giveaway sample and instantly love it! It was a pleasant surprise with my skin feeling so soft the next day. Amazing product for a dry skin. I absolutely love Luna Sleeping Oil. I use it most nights, clears all those lil bumps you get on your chin and any pimple scar. Will keep repurchasing. I have been struggling with cystic acne ever since coming off the pill and I've been using this oil maybe 3 times a week. When I wake up in the morning the under the skin spots are always reduced in size compared to the nights when I don't use it and my skin tone always looks more even. My only downside is the smell isn't my favourite but it's not a deal breaker and it stains my white pillows blue. Only buy the small size if you're interested as you barely need any product and it will last ages. I feel like this product has so many mixed reviews - it's a Marmite product for sure. For me, however, it has become a holy grail product. My skin bounces between dry and flaky to combination and congested depending on what I eat/the weather/hormones/position of the planets (who knows) and this has seen me through it all. It has evened out my skin tone, it helps with years-old acne scarring and current scarring, it diminishes active breakouts meaning they don't stick around for too long - and it does all of this without stripping my skin like a ''normal' retinol/retinoid product might. The smell is gorgeous and the bottle is sturdy and also pretty (which is always a nice pro!). I use Pixi Glow Tonic in the morning and this in the evenings and it's not been too much for my skin at all. It should also be noted that this is not an oil, it is a treatment so you will probably need a moisturiser/oil after this product has absorbed. I know some people have concerns with the colourants in this, but Sunday Riley has said it has less colour than a swipe of lipstick or eyeshadow. However, I can't see how the dye adds anything to the product though so it is slightly irritating (for me anyway) that it is there. All in all - it does exactly what is says on the tin. I've recommended it to many friends and family members! It's not cheap but I only use three drops each time and it's lasting me AGES so far so price-per-use is minimal. Would recommend to anyone! This oil really helps rejuvenate my skin, and even makes my acne reduced and much less pronounced. It lasts for a very long time (I've had it for about 6 months so far, although I do use it sparingly). Highly recommended!! Great for soothing and nourishing. I have read the reviews and was skeptical of this but thought to give it a try. First of all I have psoriasis - patchy flakey skin on my face. I was particularly worried if this would make it worse as it does say on the box that initial use there may be some flakiness, but on first night of use woke up to skin that is not as inflamed and not flakey. With further nights of using Luna I find my skin is clearer in the mornings. I find just using 3-4 drops of Luna is fine, but I still needed to use a night cream as I find the oil is not enough to hydrate my face throughout the night. Overall first 5 days of usage seems to have improved my skin texture and no flakiness! BUT they might want to think of removing the colourants. So, I purchased this 6-7 months ago after really contemplating as the price does matter, for £85 my skin better do something otherwise I want a refund. I have oily/combination skin. After using the Luna sleeping oil every 2-3 days, from my first use I noticed a difference. For you to notice the difference I use it every other night or so. When I wake up I really do notice something difference, my skin looks brighter, clearer almost it has been given a shot of caffeine to wake it up! Although, I have oily/combination skin, that only thing I don't like it doesn't make me feel like a grease ball, although i do use like 3-4 drops. But now and again when I have blemishes it has reduced the appearance and if you're considering to purchase this, I would recommend you get a sample or pop into a store that sells Sunday Riley just to get a sample to try. This is a solid treatment. It helps to bring radiance back to my skin and keep my breakouts under control. Again, when the product is working, I am generally ok with its smell. A little goes a long way. I usually use it 5 nights per week. A bottle lasts me more than 4 months. The only thing I don't like about this oil is the colour. I don't see it necessary to put colourant in it, for whatever reasons, I hope it can be removed from its formula one day. I have tried Retinol products from some brands now (The Ordinary, PTR). But for my drier, sensitive skin. This is by far the product that has had the best results for me. I use it 3-4 nights a week and my skin gets softer, more even and makes my pores appear smaller. I do not get spots or extreme flaking or dryness from it either. Just a top product in every way for me. I probably can't say anything more than what has already been said here. I do not think this is a miracle product, but I also do not imagine my night-time routine without it. I think I might feel the same about other night time oils, yet I am worried to move on from this one. It takes ages to use up, I have had it for maybe 8 months, not sure, and I have half left. I use it almost every night, too. I would call it my skincare innovation for 2016. it is not as mild as you may think, it's actually pretty potent. I need to use more consistently to see the great results but initial impression was quite impressive! looking forward to trying other Sunday Riley products. I'd start by saying I can understand her high prices, as her marketing team are doing a fantastic 5-star job and hopefully they are paid accordingly because that's the only outstanding thing about the SR products I've tried. I received a deluxe sample of this in a CB order. For the first 2 weeks I loved it. It didn't completely absorb but I was fine with that. All of a sudden I started to break out all over my face, thought it was hormonal (which I never get, but the timing..!) however they continued. In the end I thought I'd skip using this for a few days (purely because my skin never fully absorbed it). Breakouts started to clear up in the next few days. I haven't used it since and haven't had any breakouts since. It's also not that great a retinoid product. If you find the standard retinol products too harsh try Kypris Moonlight Catalyst. Ignoring the breakouts I'd give this 2-3 stars, only because the results are not worth the retail price compared to other retinols/retinoids. I have been using this, along with the Good Genes and Flora, for a little over 4 weeks now. The first days I tried this by itself at night to see if I had any reaction to it, which I didn't so I felt like I was good to go. I started its use after I came home from my holidays. On my holidays, my skin was looking like a dream. It had that nice tanned glow, was not dry or patchy but actually felt moisturized very well and it just had that healthy look and feel. Then back home the climate was completely different and my skin went full on bezerk on me. I got dry and dehydrated, got bumps and blemishes, colour difference, hormonal breakout around my jaw and because of its tightness it even itched/hurted a little bit at times. Now before holidays, these were always the skin problems I had. But hey, a woman can dream of it disappearing after holidays, right? Having seen and hear people rave about this, I took the splurge in blind panic. After of course reading through all the benefits of the ingredients, debating if it was something I could use, reading tons and tons of reviews, you know the drill. I am NOT disappointed. I read about people disliking the smell, I freaking love it and would totally bathe in it. The first morning after use, I saw a difference. No big difference, let that be clear because it does not work like that with skin care. But I did notice a slight difference, my skin appeared brighter and more smooth. Now after using it every single night as past of my nighttime routine, I definitely see a difference. My skin does not feel tight or dry anymore at all, my bumps and blemishes are basically gone and I feel like they disappear over night with use, have not had hormonal breakout, feel like discolouration is no longer here, but most of all my skin looks radiant and feels healthy. Please do note that I am using this along with Good Genes at night, which I love just as much. I bought this on a whim. I had heard bloggers rave about this product, but assumed it was down to Sunday Riley having an excellent marketing team rather than the product itself. I was wrong. I have used retinoids in the past, and was a devotee to another brand, however they frequently left me with flakey areas and had to be imported from the US. This does not. It hydrates and plumps my skin like no other retinol. I stopped using this for a while and I found that it took longer for pimples to fade and reduce. I believe it is down to the anti-inflammatory properties contained in the oil. I also (controversially) like the colour! It helps me see if I have applied too much, If I start looking like a smurf I've gone overboard! Honestly, I don't know how to feel towards this product. The first month when I started using it, my skin loved this product. My skin was brighter, hydrated and overall, it just looks and feels better. I've been using this product for 4 months now and I use it every alternate night. I realized after the first month of using the Luna, my skin started to react differently towards it. The morning after using Luna the night before, there would be a few pimples popping out on both sides of my cheeks. Initially, I thought that I might have layered too many products (my skincare routine is pretty simple: toner - hydrating serum - luna - night cream) therefore I decided to skip my night cream. Despite skipping the night cream, I would still get pimples after using Luna. I'm very sure it's the Luna which caused the pimples because I've stopped using it for a week and replaced it with Juno instead and my skin was fine. I did not want to give up on Luna because I really had high expectations for it and also all the hype that's been going around the internet. I tried many ways to incorporate Luna into my skincare routine but nothing seems to work. I am 24 and I really wanted to try Luna because I thought it would be a great idea to start using retinol and prevent premature aging of the skin but I am so disappointed with my skin reacts negatively towards it. I'm guessing that maybe Luna is not suitable for girls who are in their early twenties. I will definitely give Luna a try again when I hit my late twenties. I really loved how it makes my skin feels so much more hydrated and glowy during my first month of usage. I was utterly scared to try something with retinol acid on my skin, after a horrible reaction against a high end cream containing retinol acid. This oil is just magic, it soothes down my red patches due to rosacea/eczema. It didn't make me break out, it hydrates without clogging pores. It might seem a bit oily on when one puts it on at night, but then the morning I wake up with a cleared out, even, hydrated skin. I was able to dare to walk out with no foundation on after a couple of weeks using this product, and it didn't happen since a veeeery loong time! Highly recommended and definitely will repurchase. I started using this in conjunction with good genes as I'm sure most people do. I noticed that for the first few days I was dry and started to flake in my cheek area, which is not normally an area of concern for me. I like it, it smells nice (I think) and it makes me feel like I'm doing something good for my skin. Having said that, I have noticed my face to be slightly plumper and the texture is much softer, smoother but I feel like its a combination of the two products not just the Luna. I think when I am finished I will try another oil, just to set my mind at ease. I didn't sample first but having said that I probably would have bought it even if I did as I really like what the duo are doing together. I've just turned thirty and figured it's (well past) time to get serious about my skin. I have oily, congested skin with sensitive patches around the outside of my face and giant, easily clogged pores for mistreating acne-prone skin. After binge reading Caroline Hirons's blog and other reviews I settled on updating my cleanser and invested in two Sunday Riley products: this and Good Genes. This is lovely to apply (though I wish they hadn't added the artificial blue!) and I love the ritual of applying a night oil. I'm not yet convinced of the power of the retinol ester and there have been no dramatic changes to my skin. However, the other ingredients certainly have a calming effect and I wake up with less redness than usual. I think I would experiment with a different facial oil before repurchasing -- but it is lovely! I didn't buy this because of fine lines or for the anti age thing, but because of my acne. And my skin didn't change over night, but I didn't have any bad reactions either. I ALWAYS give skin care products a while to work (unless they hurt or break me out), because things take time. I use this 3-4 times a week, I use perhaps more than most people, but after 6/7 months I dread living without it. I bought this bottle in july and it is now january and it is still half full, so it will last you a long time (good thing because this number isn't cheap). It helps on my active acne, the scars from older acne breakouts, on my blackheads and makes my skin look more alive then it has for years. And the blue colour goes away when I have massaged my skin as Caroline Hirons have showed I should. I really want to try more from this line, despite the high price tag. I've now used this oil for two weeks. Previous to buying it, I had researched it really carefully; reading and watching all available reviews. I was sceptical about some of the reviews from young users because this doesn't really seem targeted towards people in their twenties. So, to put it into context, I'm in my mid-forties with mildly dry and dehydrated skin. I have very few of fine lines, so it wasn't as if I was expecting miracles. This sounded perfect for my skin type. This was a huge investment for me and the most expensive skin product I have ever purchased. I don't have the wealth that comes with a Caroline Hirons skin wardrobe so this was a huge deal. This product has made absolutely no difference to my skin whatsoever. I didn't experience any peeling and there is no difference in softness, lines, tone, redness or dryness. I would highly recommend sampling this product before you buy it. I have enjoyed using this product over the last few months, several times a week. I notice results every time I use it my skin looks more even and my pores are less noticeable. After seeing a tip from Sunday riley on Instagram I started using 5 drops of this followed by half a pump of Good Genes finished with Bionic, OMG game changer! My skin looks smoother and glowy, love this combo!! Nothing has improved my skin like Luna. After a month of using it my hyperpigmentation is gone, my breakout are few and far between, and my skin is so hydrated. Good Genes is good, this is better. I use with the Mizon sleeping mask before I go to bed, and I wake up with new skin. I've had my bottle about 3 months and I've barely touched the sides - well worth it. After three months using this everynight, I can say it's wonderful for breakouts. But any difference with my pores and my fine lines. Amazing for oily complexion, skin seems much clearer after only 1 week. No blemishes since I started using the oil and pores are really less and less visible with use. Living in Canada with temperatures comparable to the arctic one requires an effective skin regime. This is a ‘can't do without tool’. I loved this initially because of its calming, relaxing smell but more importantly, I noticed plumping and brightening of my skin the morning after. It tones down my mild redness on the face and makes my combination skin smooth and supple. Would definitely recommend! I have combination skin and feel this has given me breakouts due to being an oil so unfortunately I stopped using. Perhaps it's an ideal product for winter and for people who suffer from dry skin but not one for me sadly. I have used this before and had to have another bottle. The scent makes me feel good and the results are obvious. I've been using this oil for a month and I absolutely love this. I use it at night and when I wake up in the morning I look in the mirror and it always surprises me because my skin looks glowy and plump and just so good. I totally recommend, even my mum is hooked on this now. I've used this product for a little over two weeks. I have already noticed a difference in my skin.It cleared up some of my bumps, reduces pores, smooths my skin and it works overnight. This is one of the best Retinol products I have ever used. Since purchasing a limited edition Sunday Riley Glossy box I am OBSESSED with the night oil! So much so I bought a full size bottle! It makes my skin feel so beautiful - on application, in the morning and throughout the entire day! And it LOOKS phenomenal! Smooth and clear, fine lines and wrinkles none existent, PLUS it helps my morning serums and moisturiser absorb so much better and my makeup goes on like a dream! This product has an unpleasant smell of oils that will transfer to (long) hair while you are sleeping. I can only use it when I know I’m washing my hair the next morning, but I guess that would apply to any face oil. A MUST HAVE!!! - Completely honest review! I really like the product it’s still early days to report drastic results and I am comparing against Vintners Daughter which I loved. But my skin is smoother and definitely glowing without causing any break outs. My skin really likes this oil! We just clicked. My skin just loves it. It’s blue and may stain your pillowcase but washes off easily. I used Luna for 2 weeks on daily basis. I used it in conjunction with Good Genes which I have been using before adding Luna to my PM routine. The first 2 weeks I was enjoying my radiant clear complexion, lesser congested pores. However, after two weeks I started developing very weird under the skin type of texture/ bumps in places I never broke out. I contacted Sunday Riley’s client care team (very fast customer service) whom advised to limit my usage of Luna to 2-3 times a week. Now, after two weeks from stopping Luna I sadly still suffer from this weird congested texture. I bought it for my acne skin but it doesn't work at all. And the worst thing is that this would dry out your skin and if you use it at night, it will be cakey the next day whatever foundations you use. I've used this retinol for a little over a month (on and off) and I don't understand all the hype. No difference on my skin. It's not worth the money I would say. There was a point where my skin became parched and I had to stop using it. My lips were cracked and almost my entire face was peeling. I like so much this oil for my autumn and winter routine, it’s very healing for scars, and my pores visibly reduced. Bought this together with the UFO oil to treat my combination/dehydrated skin that is prone to clogged pores but at the same time showing the first signs of lackluster skin due to age... UFO has worked to purge out the clogs that previously remained despite my futile efforts at extraction. (But that's another review later) Luna works at night to aid skin renewal and bring back the glow to my dull skin. The sorcery that is in this potent cocktail of goodness has given me hope at bringing the glow back to my tired mien. My nightly routine now: after cleansing, a couple spritzes of my Mario Badescu facial spray, (insert sheet mask/eye mask here as necessary), 3 drops of this magic oil, followed by my nightly moisturizer (depending on what my skin dictates ) to seal it all in. My skin has been feeling and looking better by the day. Of course, being the skincare junkie I am, I tend to stray...But these 2 have replaced other serums/oils and become staples in my routine. And that's saying a lot. Been using this for about a month now. It's a bit pricey but a little goes a long way, so a large bottle can probably last at least 6 months (not bad). I noticed improvement in the redness/irritation and texture of my skin. My pores have been slightly reduced in size (although it's definitely still there). Haven't really noticed any improvement on my fine lines, but that's ok. Overall, this is a great product that has now become a nighttime routine staple. I have a combination skin with breakouts on my cheek area with tiny bumps on my entire face. I initially bought this for the cheek acne but was shocked to notice that after the first night with LUNA on my face my skin felt so much smoother. The next night I applied this all over my face and I looked brighter the next morning. My skin felt so soft. I have now used LUNA for more than 2 months and this oil has definitely calmed down my breakouts. My skin isn't so textured anymore and I'm so happy. I bought the small bottle to try out but will be buying the larger one next time. I really wan't to try out the UFO and JUNO oil too! Still a bit early for results (2 weeks) but so far so good skin texture is softer. Not worth the hype, unfortunately, I didn't see any visible difference and the smell is something else. Luna has changed my skin...thanx to Lydia E. Millen’s glow box I tried Luna for the first time, didn’t expect much from it but it actually did something to my skin. After a few months of using it, my skin is brighter, more clear, fine lines on my forehead and my smile lines are smaller now, which is incredible. If you’re thinking about it, buy it! I never want to be without it ever again. Such a beautiful oil it does exactly what it says and more. I'm 24 so I don't need a very strong retinoid, so this is perfect. I especially love that it comes in an oil so doesn't irritate the skin as much. I find that my skin has been clearer, less texturised and overall has more of that 'glass skin' look since using this. Also, it is expensive, but lasts AGES! I bought the 15 mL one initially, and it lasted me about six months of use at least every second day, so for me, I think its worth it. The effect Luna has had on my skin is wonderful, however, it can be quite messy when applying, covers my pillowcases in blue and the smell is a little overwhelming. I haven't had any breakouts and my skin looks plumper! Just a shame about the smell and the blue dye. This was my first premium retinol and I definitely enjoyed using it, although I didn’t get on with the smell at all, and I think there is too much blue dye added to give it that blue tansy look. I do think it’s had an effect and my skin is looking good - plump, nourished, but I would want to try an alternative next as the smell of this is off putting. The product is quite nice, but after using it for a while and comparing it to SkinCeuticals and La Roche Posay, I would say that Luno was the least efficient. It’s not worth the price for me. I am 25. I bought this oil a few months ago and I’m so glad I did. My skin feels amazing. I wake up to smoother clearer skin every day. 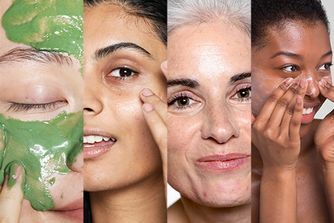 My skin type is oily and I can promise you it’s worth it. I haven’t broken out with any spots. I purchased this product as a treat to myself but I won't be repurchasing it. I gave it 3 stars because the morning after you use it my skin definitely looked better like I had a great nights sleep but there was no long-term effect. I used it for a few months until the bottle was finished and I saw no difference in my skin. I got this to combat the texture that I get with combination skin - I get a dehydrated skin with dry, itchy patches but my T-zone is oily and has lots of 'bumps'. During the first week of using this, my skin went through a 'detox' phase, and a lot of the gunk that was sitting underneath my skin came to head. However from then onward my skin has been less texturised, my hormonal breakouts have been far less angry, my skin tone has evened out and looks plumper and healthier! It has been well worth the money for me. I'm 69 and my skin is in pretty good condition, however, I found this product gave an extra boost. It felt softer, plumper, smoother and moisturised. I love it and don't understand why I see people having a problem with the blue, it doesn't tint my skin, I cleanse and exfoliate and the oil just sinks in. The smell is a bit different and not unpleasant, by morning it has gone anyway, would definitely buy it again. I am not sure what this product actually does for my skin. I can't see any noticeable differences even after 2 months use. It doesn't cause me any issues though and I have relatively sensitive skin. I love it! It makes my skin very smooth and shiny. I've been using the sleeping night oil for about 3 weeks alongside the ceramic slip cleanser and martian mattifying toner. I have incredibly sensitive skin which reacts badly to a lot of products, I'm always careful to only use one new product at once and to use for a whole month before altering my skincare / make up routine. I saw instant results after starting with this product, my skin was noticeably plumper and more hydrated after the first night and redness have gradually reduced, my acne flare-ups also haven't been anywhere near as bad as usual. Sunday Riley is definitely a pricey brand but well worth it in my opinion. Alone, this product would receive a 3.5 star rating. It smoothens and brightens by about 5 -10%. However; when used with good genes the results are amazing. You do have to build up a tolerance for the two products so I would follow the Sunday Riley instructions, but when you start layering them: wow! I try to use this at least twice for the week just before bed. In the morning, the skin is visibly plump and feels amazing. I tend to do a simple exfoliation just before applying the oil. Previously I was using the Kiehls Midnight Recovery Oil, however I find the Luna has more immediate, very visible positive results. I adore Luna. I'm in my 40's and struggle a little bit with dullness and sagging but Luna really makes a difference. It seems to soften coarseness and wipe away dryness. Put it on at night and wake up glowy. Ive been using Luna for 5+weeks now and I will stick to it. I have combination/dry/sensitive skin with occasional (hormonal) breakouts. Ive tried a lot of creams/oils/Serums etc, because my skin reacts sensitive/allergic to almost everything. Since the ingredients of Sunday Riley products are natural, I gave it a try and it was worth it. Im using 4drops each night after cleansing and massage them gently into my skin, it gets absorbed pretty quickly, never had stains on my pillow whatsoever. I'm using Luna in the morning, after washing my face with water. Maybe it's the combination of both, but my skin feels so soft. love it. I love Sunday Riley products. I had heard that this product was 'hit or miss', and I was very disappointed to discover that I was among the 'miss' customers. I persevered to the end of the bottle, but I saw no results. I like that the bottle is tinted dark to protect it from ultraviolet, but the dropper configuration still leaves it vulnerable to air exposure. The oil stayed on my face without penetrating, so absolutely none of it survived without being wiped off on my pillow before I could even fall asleep. I've been using this product for a couple of years now, and I'm really happy with the results. It goes on easily, lasts a while and I can see positive effects almost immediately. I will continue to use this product for the foreseeable future. I love Sunday Riley. She changed my skin from a source of frustration to soft and glowing. Luna did miracles for me even though everytime I buy it I cry a little over the price tag. It doesn't matter what other products I try, this is the only one that works. Specially combined with good genes. I absolutely love this product. I noticed a visible difference right from the first use and my skin continues to look smoother, brighter and more even toned. I have sensitive dry/normal skin and this is perfect for me. I had recently purchased similar products from The Ordinary in an attempt to save myself some money - but they definitely aren’t comparable and I’ve gone straight back to my Luna!! (Wasted £30 on products I now won’t use). Love, love, love it. Best thing I've ever used on my face. Did not do anything for me. I'm far too young to be able to really notice any of the anti-aging benefits, but after using this for about two months, I can say I think it's something I'm going to use for a long time coming. I think a little goes a long way and I haven't even used half the bottle during the time I've had it. I follow the directions and apply it at night and massage it in until the blue-tone melts into the skin. As well, for me the smell wasn't overpowering at all, but to each their own. For extra skin plumping goodness, use a facial massage tool to preform a small face-lift a couple times a week. I love this. I love the smell too. I also cannot believe how great my skin feels after using it at night. When I forget to put it on I notice and feel a huge difference in my skin. My skin thrives on this product and I suffer from dry irritated skin. This has calmed it down considerably. But not in love. Have been using fairly consistently for almost one year. The bottle goes a long way which makes the price tolerable (for me). The results are good without being great. It's pretty gentle. I have noticed that my pores seems smaller and my face smoother and somehow 'tighter' (I don't mean that my skin feels tight though). I suspect that the oil caused some milia that appeared after starting to use it and went away after a had a break. But since restarting recently the milia haven reappeared so I am not sure (maybe I was using too much oil before, I am not sure). I don't really enjoy using it. It is quite a heavy oil which sits on top of my skin, so I need to apply quite some time before going to sleep. I really dislike the scent. It could also do without being tinted blue, but that doesn't put me off. I will finish the current (second) bottle that I am suing now but might look elsewhere for my next retinol product. I would be looking for something a bit stronger than Luna, with a more agreeable scent (or better still no scent). I use this almost every night and it's incredible. My skin is combination in the summer and dry in the winter. I don't really get spots other than just before my period due to hormones, but I used to be in a perpetual state of battling one significant blemish at a time. Now, I can put this on and overnight it will repair my skin. All forms of blemishes will be dramatically reduced, and even scabs and discolouration will be reduced and healed. I've even dabbed a bit on my chest if it breaks out, and it works like a dream. I actually feel like this is a miracle, I've almost finished my second bottle. This has to be my star product of 2016. My boyfriend bought me a bottle of Luna for Christmas 2015 and I was so so excited to try out this retinol oil. After a whole year of using it every other night I can say for certain that this stuff is the absolute bee's knees. For some reason the formulation just works on me - I can always rely on Luna to sort my skin out overnight. I wake up with hydrated skin, all forms of spot (whitehead, hormonal, cysts etc) have all dramatically decreased or disappeared and my skin generally looks happy. I cannot comment on how it performs as a "retinol" product as I've never used one before. I can't imagine it provides the most dramatic results if you're after serious retinol, but it's a gentle alternative. I've still got 1/3 of the bottle left after a whole year so don't be put off by the price. I will never be without it! I have adult ache and slightly aging skin. I found this product hydrates my skin but does nothing to effect the appearance more than any moisturiser does! It's not worth the price for sure. It is a nice product indeed however not a WOW product which I kinda expected considering the price range. It has a weird smell and colour. I haven't got any visible results and I have been using this religiously for more than 1 month very night. It lasts forever so this is the only plus however considering no results I'd rather it would finish earlier. The thing that really bugs me is that, in my opinion, the amount of blue tansy actually used in this is questionable. Blue tansy is listed almost halfway down the ingredients list, and to top that off, there's added colouring in the product. Natural blue tansy is insanely pigmented and blue (trust me, I have the pure essential oil) and to get the blue hue that Luna has naturally (without colouring) would take at most 3 drops of pure oil for a 15ml sized bottle. I reckon less than half a drop of natural pure blue tansy is in there if SR had to make up for it with colouring. In addition, this functioned nothing like a retinol should. The draw is supposed clearing of the skin minus the dryness and flakiness that normal retinols give, but honestly this did absolutely nothing for me. I'm sensitive to retinols and even Skinceuticals Retinol 0.5 kills my skin even with a light schedule of using it twice a week. With this - nothing. Also, the oil doesn't fully absorb and it leaves my face with a slight blue tinge. It makes me think that the added colouring that is visible on my face could stain my pillow. I received the deluxe sample as a free gift with other SR purchases but I will not be repurchasing the full size. This is a good product. It is pricey but worth it in my opinion. I use it about 4 days a week. I have sensitive skin and my skin has not reacted negatively. It does not take away my old acne scars, the dermatologist can do that, but it makes my skin clearer. Topical retinoids generally leave the skin feeling quite dry and peely. The Luna oil is a great alternative, the only think I don't like is the blue colouring of the product. It is noticeable when you put it on, but definitely not there the next morning. I prefer using this over 'medical' topical retinoids on days which I don't want peeling the next day and want my foundation to stay on well. Together with good genes this is phenomenal!! The combination hydrates, brightens, softens the start of aging lines and surprisely reduces the redness and sensitivity of my skin. My skin looks younger, more hydrated, clearer. I bumped into someone who I hadn't seen in a month and they commented on how great my skin looked (in combo with Lancôme foundation). I have tried many things but this combo of Sunday Riley products is just so excellent!! Definitely one to reorder. I've been a Sunday Riley fan for years. I'm rarely without Good Genes or Ceramic Slip and I swear by these two products. I'm a big believer in retinoids so when this hit the market a couple years ago I literally ran to buy it. I used it religiously for 3 months and my skin turned on me. I was so disappointed I gave the rest of the bottle to a friend. When the chance came up to get a half size bottle in a recent CB box I thought I told try it again. Alas the same thing happened only this time I broke out like a crazy person too. What's wrong with me I thought? Nothing it turns out. I took the bottle to my dermatologist who immediately the questioned use of using a Color dye in a product that has natural blue tansy in it? Very unnecessary and is likely to make people react if they have sensitive skin. So i was desperate for this to work, I'm still a fan of Sunday Riley but this product just isn't for me sadly. I've been using it for around 2 or so weeks. I think it works like how you'd expect an £85 oil to work - it does make a difference, but it is not magic in a bottle. I have had some acne scarring on my chin area after a very annoying 6-month-long zit breakout with small cystic acne. After the nights' sleep, I feel refreshed and my skin feels soft to touch. My under eyes seem brighter and I feel more confident going out to work with no makeup. I usually wear makeup to work half of the time anyways, but with Luna Oil I feel CONFIDENT without it since my skin is getting into a better condition day by day! I really hope it helps my first wrinkles on the forehead in the long run, then I might change my mind and say it truly is magic in a bottle. I bought this because it is a mild retinol and I want to get my skin used to them now before I need something stronger. I did not notice an overnight miracle like many people are claiming to have had. My skin was soft supple and plump which was enough for me to keep going with it. I did however notice a massive difference to my skin when i stopped using it for a couple of weeks. My adult acne came back, my skin was less plump and my hyper-pigmentation looked darker. It is certainly worth the price tag and I will have to repurchase soon. Simply lovely! Retinol without any sideffects! Expensive, but I can't help but love this wonderful treatment. The greatest thing out there so far if you have sensitive skin that normally reacts badly with dryness, flakiness and irritation to retinols and retinoids. The oil counteracts the dryness but still helps the skin jumpstart its renewal and smooths wrinkles and keeps even hormonal breakouts at bay. Great especially for mature skin and ladies who want the benefits of retinol without going through bad skin times trying to adjust to treatment. This makes anti ageing a breeze. The only thing I don't like is the blue colorant used to emphasise the fact it's got blue tansy in it. It feels unnecessary and gimmicky, which I feel Sunday Riley usually seems to refrain from in her line. Most of her products smell refreshingly funky and herbal in a bit of a weird way, which I like a lot since that means there is nothing unnecessary and potentially irritating in them, but just potent ingredients. The Luna is the only exception, with the very dark blue colorant, that even makes my skin look a tiny bit garish green once applied. I have heard someone say they made the Luna coloured to make sure no one would use it for daytime. But hey, I am a big girl. If it says use night time only, I will comply no artificial colour needed. But again, this oil is so good I am willing to overlook this detail because this thing makes a difference on my skin. It makes it smoother, less textured, more rested, less hormonal and more plump and refined. It does not make me 20 again, but it keeps me from looking older than I am, and that is plenty good and more than you get from most skincare stuff anyway. I love this oil and even my husband has been eagerly awaiting the second bottle of this to arrive. I am a product junkie and don't actually re-order many items as I am always on the search for something better. However, this oil stands head and shoulders above the other oils, serums etc. It is matched only by Juno which I use either on alternate nights or during the day. Sunday Riley is my skincare guru - love, love, love! Using a tiny bit leads to slow, glowy, hydrated skin in the am. I pair it with a slick of Good Genes and not only is my skin also soft in the morning, but some small patches of hyperpigmentation on my cheeks are fading fast as a result. I love Luna. I love the blue tansy colour and the bottle. It makes me feel like I'm using a magic potion ;) I purchased this with Ceramic Slip, Good Genes & Juno. After the first week or two or so of the 'purging' phase, my skin (I'm fair-skinned, south-east asian living in sunny Brunei) looks literally amazing. I don't know what it is in these wonderful products, but my skin just looks so refined and glowing. In less than 3 weeks of use, someone actually asked if I was my husband's daughter. To be fair, I've always looked younger than my years (I'm 38 in age, 20's in looks), and my husband does look more mature for his age (though he's 4 years younger than I), but this really takes it up to a whole new level. Thank you Sunday Riley! I just wish it was more easily available in my country. I've noticed a great improvement to the fine lines around my eyes and the general softness to my skin. I was a bit taken aback that I developed redness and minor peeling on my cheeks ( as described in the bottle) because I have no such issues with Alpha H Liquid Gold or Paula's Choice 1% Retinol. The reaction lasted for over a week, and wasn't anything that a tinted moisturizer couldn't hide. Thereafter, it has been great. Texture is lighter than Artemis. My only gripe is that it's not travel friendly because of the rubber dropper. I'm always worried the bottle would leak or break. Will it lose its potency if it's decanted into a plastic bottle? Otherwise I have to store it in its original box for travel purposes. Not going to stop using it even for 1 night! Because I have a combination skin I typically hate using oils on my face. However, this oil is light, absorbs quickly and leaves a youthful, luminous (yet matt) finish on the skin. It also plumps my skin nicely, I love it. Absolutely amazing. I've tried other retinols, and all of them made me peel in patches, but not this. You'll wake up to glowing skin that is noticeably more hydrated throughout the day. Does wonders for hormonal breakouts as well. Sometimes I'll just put a drop or two on any spots and the next morning they've gone down significantly, and are completely gone within a couple days. Only 3 to 4 drops is enough to cover my entire face. I've been using this nightly since March, and I'm not even halfway through the bottle. I'm fairly young to be using retinol, but the improvement in my skin and reduction in breakouts means I will never be without this.